In March 2014, the Board of the Ousseimi Foundation announced its decision to award its fourth Prize for Tolerance to Initiatives of Change International (http//www.iofc.org). 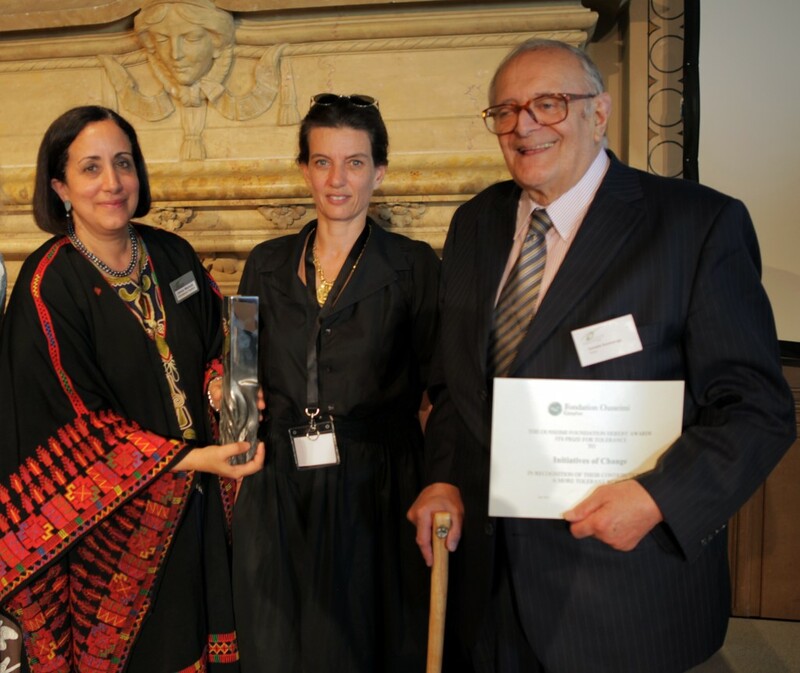 The award ceremony was held at Caux, Switzerland, on July 6, 2014, at the conference centre of the headquarters of Initiatives of Change International on the occasion of the “official day” of the Caux Conferences 2014. The award was presented by Maria Ousseimi, member of the board of the Ousseimi Foundation, to Cornelio Sommaruga, Honorary President of Initiatives of Change International, in the presence of Omnia Marzouk and Antoine Jaulmes, presidents respectively of Initiatives of Change International and Foundation CAUX-Initiatives of Change. Click on the below link to access the brochure published on the occasion of the presentation of the 4th Prize for Tolerance. The printed version is available on request from the secretariats of the Ousseimi Foundation or the Foundation Initiatives of Change International.